The FeenBan WordPress Plugin is a simple plugin that implements user shadowbanning/hellbanning for comments. Comments by shadowbanned users will be invisible to all other users. However, the shadowbanned users will continue to see their own comments, hopefully oblivious to the fact that they’ve been shadowbanned. Feenban can be activated and deactivated in the Plugins dashboard menu. All comments will be visible. Users do not have to be logged in to view comments. Users do not have to be logged in to post comments. Users must be logged in to view and post comments. To remove the shadowban on a user, follow the same steps and uncheck the Shadow ban checkbox. All pages and posts will be visible as normal. You should not see any comments. A login link should tell you to log in to view comments. You should see comments by unregistered users and non-shadowbanned users. You should not see comments by shadowbanned users. For comments by shadowbanned users, you should see a message saying ‘Comment not displayed due to shadowban’. When editing a user, you should see a checkbox to shadow ban the user. When viewing the comments listing on the dashboard, comments by shadowbanned users should still be listed. You should see comments by the shadowbanned user, unregistered users and non-shadowbanned users. When editing your profile, you should not see a checkbox to edit the shadow ban status. You should see comments by unregistered users and other non-shadowbanned users. For comments by shadowbanned users, you should see a message saying ‘Comment not displayed due to shadowban‘. This plugin is called FeenBan because it was a special request from Michael W. Dean of the Freedom Feens Talk Radio Show. This plugin has been released under a license compatible with the GPL2 as stipulated by WordPress.org. 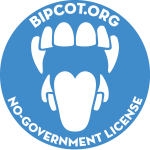 However, users are encouraged to checkout the BipCot NoGov license from the Beastlick Internet Policy Commission Outreach Team. The FeenBan shaddowban Plugin for WordPress is available completely free of charge. If you find it useful, please consider making a donation to support future development. I would like to add many more improvements but this would only be practical if I can justify taking time away from other revenue generating work. Thank you! Note: All donations will be shared with the Freedom Feens. For transparency, you may want to also contact Michael W. Dean of the Freedom Feens to inform him of your donation. 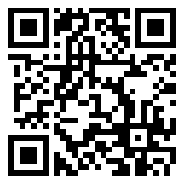 Note: I won’t be able track donors with this Bitcoin address. Please drop me an email if you’d like me to confirm receipt of the donation. Thanks!